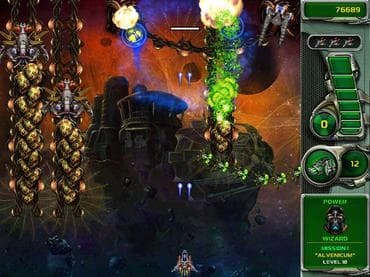 Star Defender 4 Mac - breathtaking space shooter with more than 100 levels, 8 original missions and of course huge impressive Bosses. Star Defender 4 Mac is a breathtaking space shooter that still has all the best features of Star Defender series. You'll be dazzled by splendidly craft graphics and music. Face tons of new enemies with a unique style of behaviour and new ways of attacking in Star Defender 4. Blast through more than 100 levels, 8 original missions and of course huge impressive Bosses in the end of every mission. Если у Вас есть вопросы, связанные с игрой Star Defender 4 пожалуйста используйте эту форму для связи с нами. Скачайте игру Star Defender 4 для ПК Бесплатно!